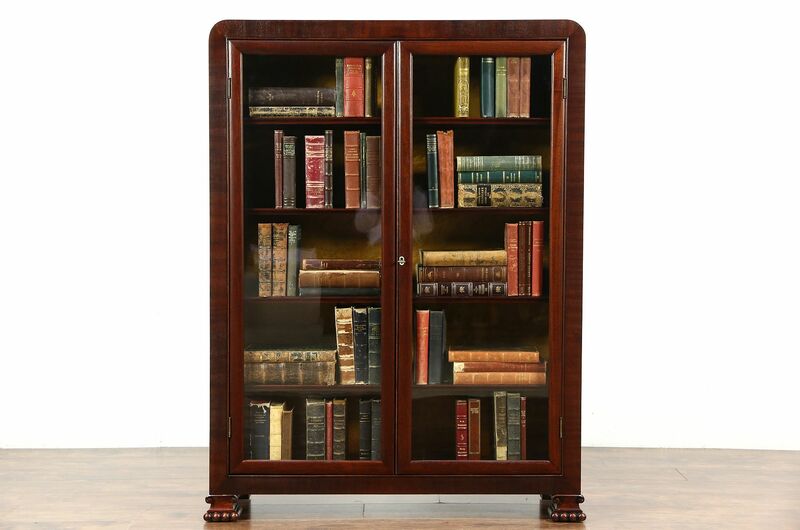 A sleek bookcase from about 1910 is mahogany with carved feet. The restored deep finish is in excellent condition. Doors have a working lock and original wavy glass, the interior back is golden curly maple. Shelves are adjustable on this American made antique library or office furniture. Measurements are 42 1/2" wide, 13" deep and 56" tall.